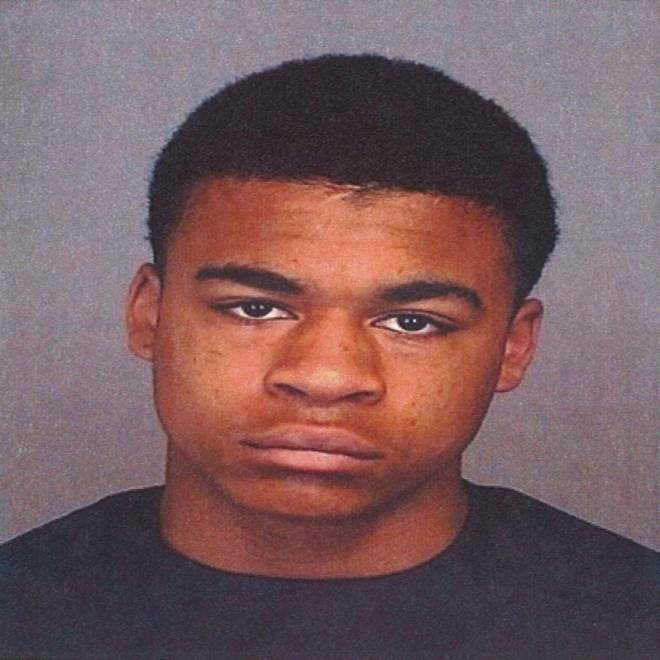 Kenan Adams-Kinard, 16, was arrested Monday in the beating death of WWII vet Delbert Belton. A second teenager was arrested Monday in the beating death of an 88-year-old World War II veteran in Spokane, Wash., and his family said he had "fallen in with the wrong crowd." "He hung around with the wrong people and made the wrong choices," Odell Kinard said of his nephew, Kenan Adams-Kinard. "It's the summer and ain't nothing to do here." Adams-Kinard, 16, spent four days on the run before he was nabbed and charged with first-degree murder for the slaying of Delbert "Shorty" Belton, whose death has drawn national attention. Police said he will likely be tried as an adult. Another 16-year-old, Demetruis Glenn, was arrested last week, charged with first-degree murder as an adult, and ordered held in lieu of $2 million bond. His lawyer said he plans to plead not guilty. "They did a horrendous thing and they need to pay the consequences," the victim's daughter-in-law, Barbara Belton, told NBC News. "They just kept hitting and hitting him," she said. "He was an 88-year-old man. Even if they wanted his money and he didn't want to give it to them, they didn't need to do that." Belton, who survived being shot in Okinawa during the war, was in his car in the parking lot outside his Eagles Lodge when he was attacked on Wednesday night. “The motive for this attack was robbery," Spokane Police Chief Frank Straub said, adding that the victim's wallet was found discarded near the crime scene. The great nephew of a World War II veteran who was killed outside a lodge in Spokane, Wash., speaks out about his great uncle. KHQ's Dylan Wohlenhaus reports. "Race was not a factor. Additionally, there was no gang activity that was associated with his incident," he added, apparently responding to some commentators who had seized on the fact the teens were black and the victim was white. "These are two young men who just spun out of control." Belton was found wedged between the two front seats. His family said doctors told them he was battered so badly he would have sustained brain damage and had lost too much blood to survive. "Our information is that the individual fought back and that may have made this a worse situation," Straub said when asked about the viciousness of the beating. Glenn turned himself in and was charged as an adult, but Adams-Kinard remained in hiding for four days as police worked with churches and his family in an effort to arrange a peaceful surrender. "The family was helpful. The family encouraged him to surrender. The family got the gravity of this," the chief said. Over the weekend, dozens of tips came in and one led cops to an apartment where Adams-Kinard was arrested without incident at about 3 a.m. Monday. Three other juveniles who had helped the teen elude capture were also arrested and charged with felonies. Both Glenn and Adams-Kinard have previous arrest records, including assault convictions. But Odell Kinard said he was shocked to learn his nephew, who was a standout basketball player, was accused of killing a man. "It really hurt to hear that," he said. Glenn's lawyer, Christian Phelps, on Monday night said he was worried there was a "rush to judgment" in the high-profile case. "A lot of folks just want to throw these kids away and the key — or worse. I would urge people to wait for the facts to develop," he said. "There are no eyewitnesses and no forensic evidence that links either of the kids to the crime," Phelps said, declining to say what his client was doing near the crime scene when he and Adams-Kinard were caught on surveillance video.